We can help you with all of your grease trap installation and repair needs. 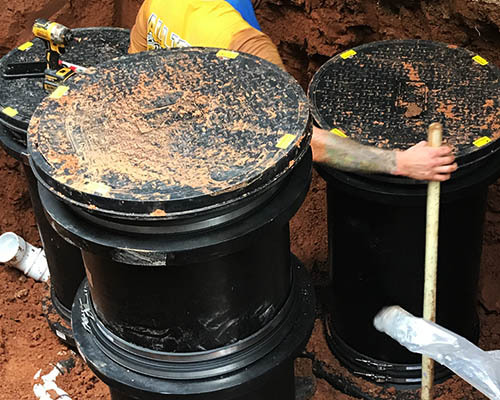 A broken grease trap can cause negative affects not only to your own plumbing system, but it can also affect the local municipal sewer system, which can result in costly repairs if neglected, in addition to hefty fines from the city. This is why it is important to perform regular maintenance on your commercial grease trap, to make sure it keeps running smoothly. If it turns out your system is beyond repair, and you need to purchase a new system, give the experts at Allied Plumbing a call. Getting your grease trap professionally installed by Allied will result in a long-lasting system that will work well for years on end. 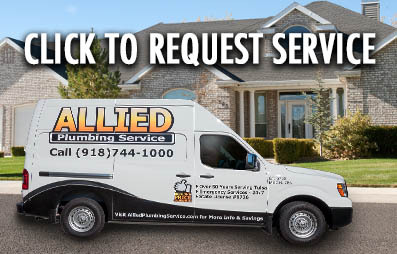 Allied Plumbing makes sure to do the job right the first time, helping to prevent expensive repairs and problems down the road, as well as reducing your risk of being fined by the local government. Our five star rated plumbing services are available 24/7 with a $55 Dispatch Fee. We'll give you a price upfront, and waive the Dispatch Fee when repairs are made! The price we quote is the price you pay guaranteed; no hidden fees, no surprises!